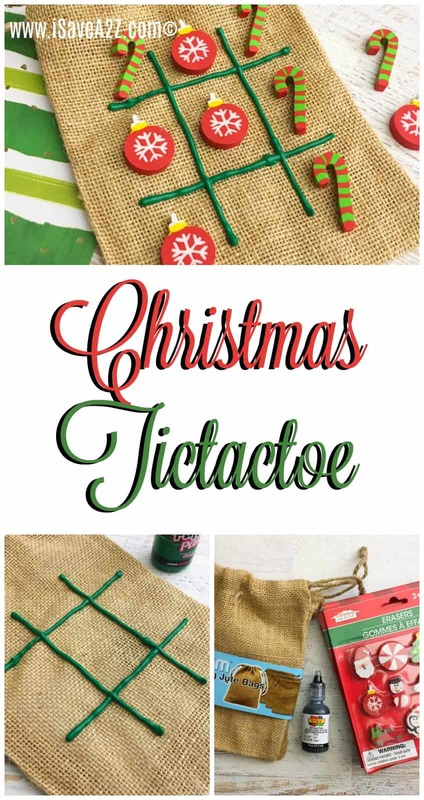 This is a fun and frugal idea for a stocking stuffer that you can make at home. The kids can even make these projects themselves. 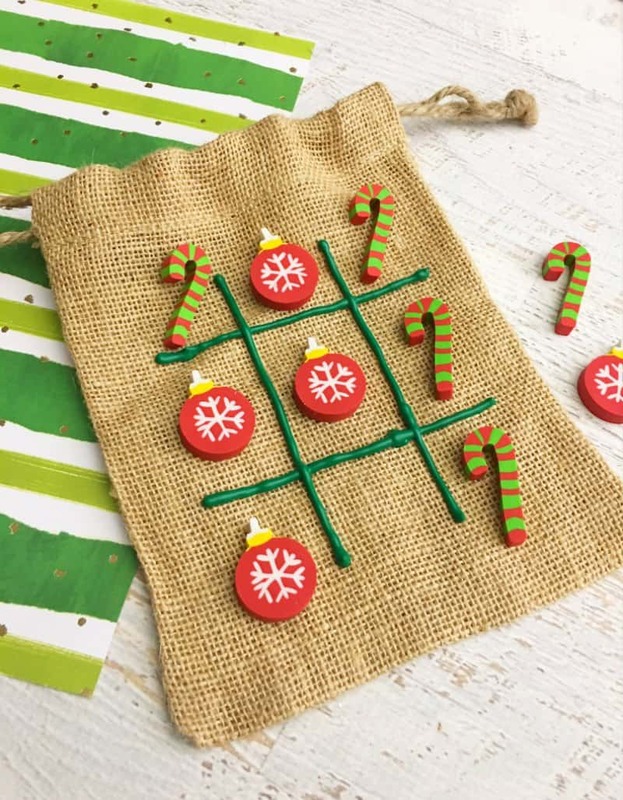 They can be party favors for a Christmas party or the kids can even give them out as gifts for fellow students at school. Everyone loves tic tac toe! There are tons of erasers you can grab on Amazon or even at your local dollar store. I wanna say I even saw some cute erasers in the kid’s book sale pamphlet at school. OH! I forgot, I saw some at the dollar spot at Target too. Honestly, they are everywhere. Now, the small burlap sacks are not easy to find. 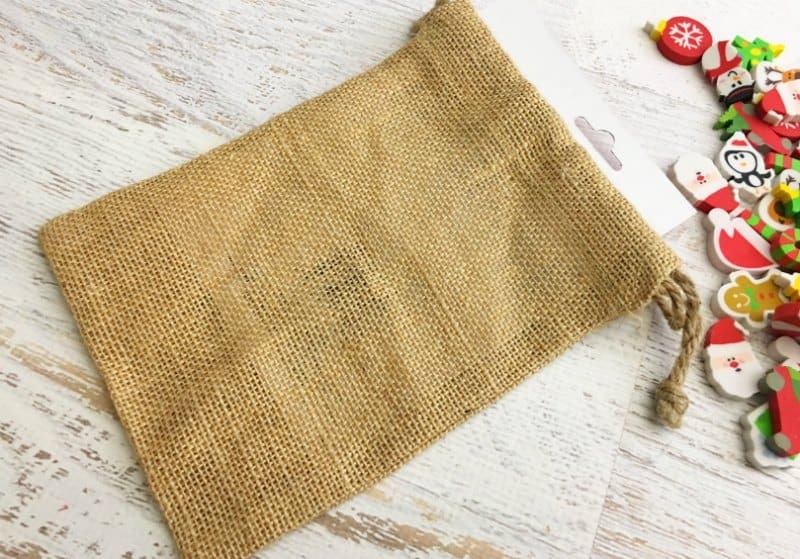 If you plan on making this craft I highly suggest ordering those burlap bags from Amazon to save yourself the trouble. 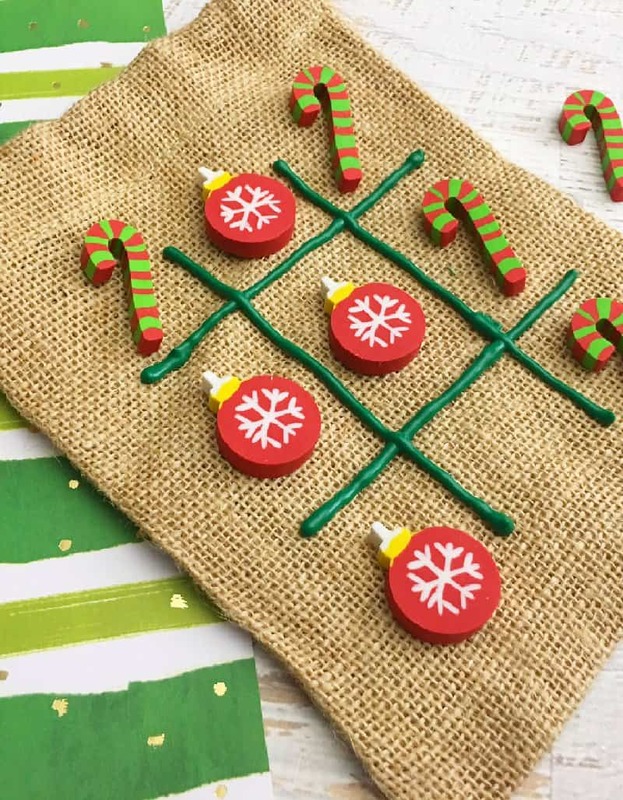 This craft idea can be changed based on the holiday too. For example, think of Valentine’s day craft ideas with some cute heart shaped erasers and pink or red puffy paint! Cute, right?! This would also be an excellent idea for teachers who want to give each student a small gift. We all know how hard it is for us to purchase gifts for a large classroom of kiddos. God Bless our teachers! 1. 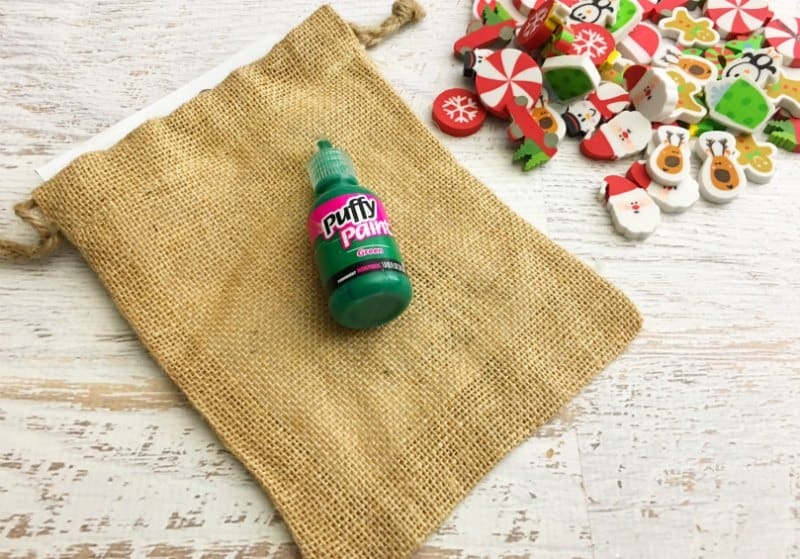 Open your eraser packs and place the cardboard backing into the jute bag. 2. 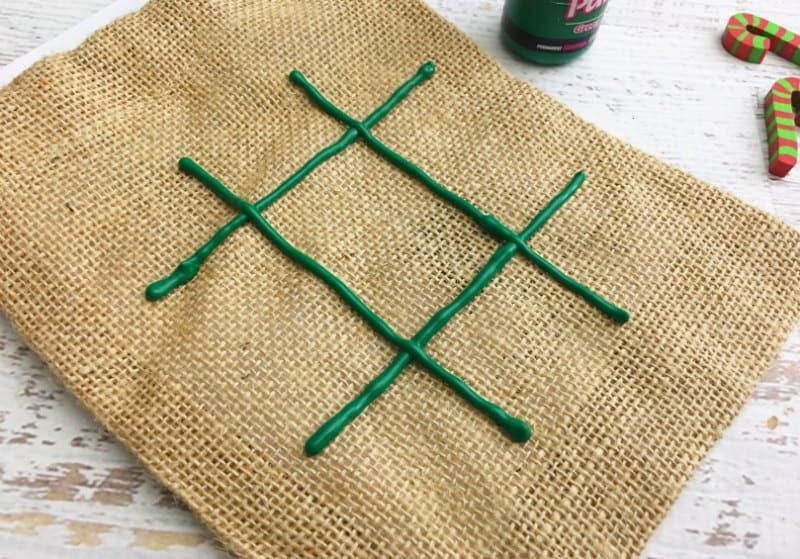 Use your puffy paint to draw a tic-tac-toe board on the front of the jute bag and let dry overnight. 3. 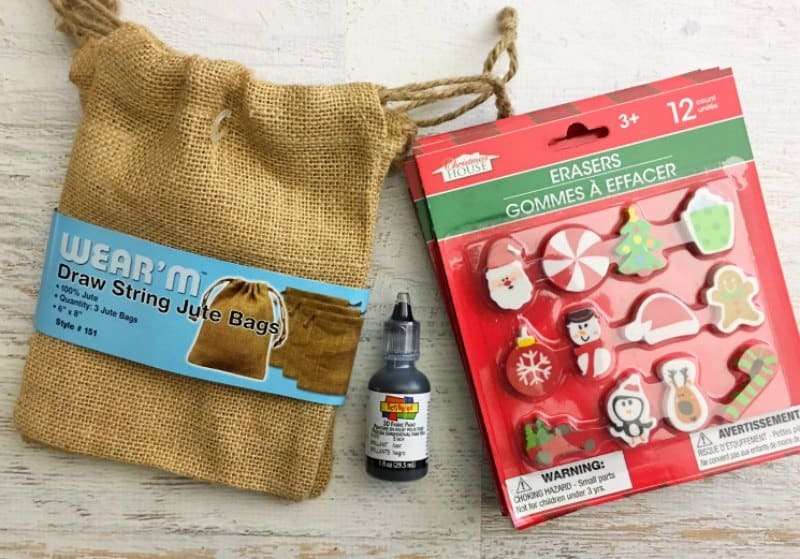 Choose 10 erasers, 5 Ornaments, and 5 candy canes to place in the bag when the bag is dry. By Andrea Deckard on December 5, 2017 Crafts, Paper Crafts.